Development schemes for Third World countries rarely benefit the poor, largely because aid is too often squandered by corrupt bureaucracies. 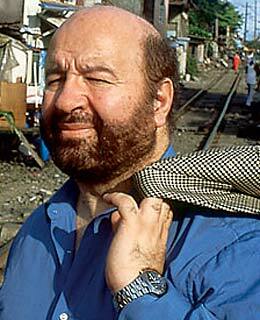 That makes fresher, commonsense visions like those of Peruvian economist Hernando de Soto all the more welcome. De Soto has spent years looking deep inside the underground economies where poor people  who make up two-thirds of the world's population  eke out a living. He figures the value of their extralegal property, from cinder-block squatter homes to black-market street-vendor sales, at almost $10 billion. De Soto insists that bringing the poor and their assets into the formal economy, which is usually closed to them by oligarchies and epic red tape, would eclipse all previous development efforts. But how? De Soto, 62, offers a simple solution: give these underground denizens legal title to their homes and businesses. That would grant them access to bank credit and investment capital, much as the property-title revolution of the 18th and 19th centuries enriched Western Europe and North America. A limited experiment in Peru in the 1990s proved the idea had merit when it brought in more than $1 billion in new tax revenue. Some 30 heads of state, from Egypt to Mexico, have hired de Soto for similar projects. "I think our time has come," says de Soto. "Four billion people exist outside the market, where angry folks like Osama bin Laden followers lurk." This month de Soto became the second recipient of the Washington-based Cato Institute's $500,000 Milton Friedman Prize for Advancing Liberty. "Hernando sees strong entrepreneurs among the poor who make do in such horrible circumstances," says Cato's president, Edward Crane. "This is going to grow." And so, it's hoped, will the fortunes of those underground.